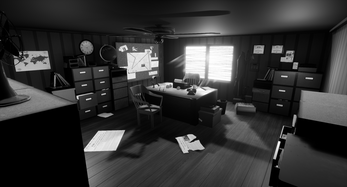 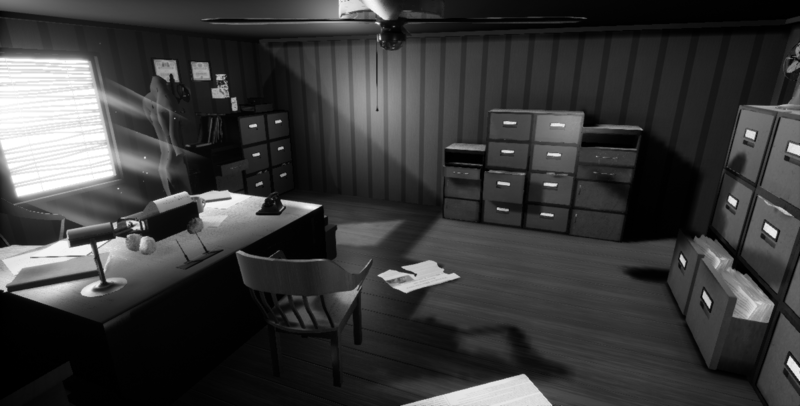 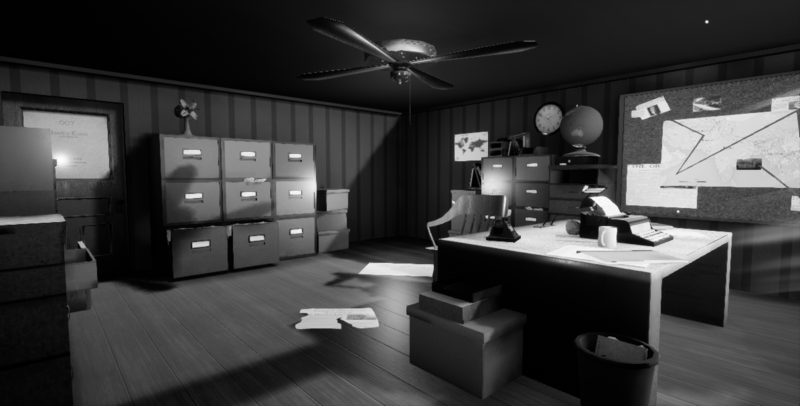 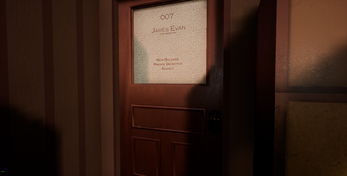 This is my submission for Rising Star 2018, and is a small, diorama-esque scene inspired by a piece of concept art, it is a detectives office in the 1950's - the iconic noir age, so therefore I made the scene in both colour, and in black and white, using a post-process, and of course, backing it up with research. 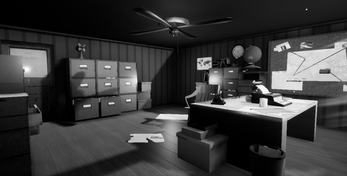 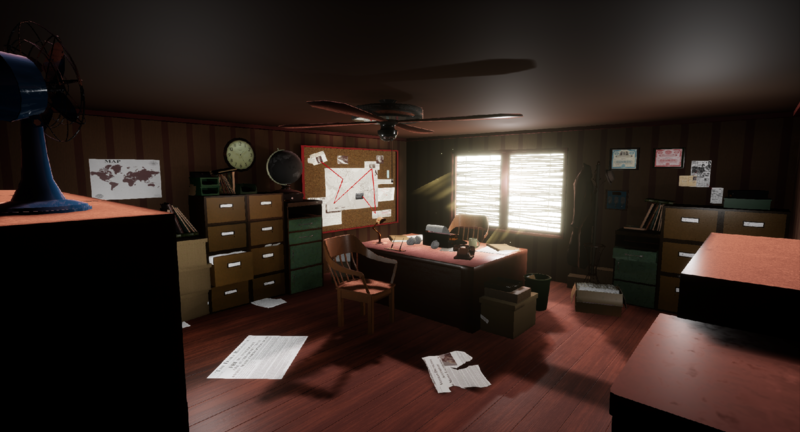 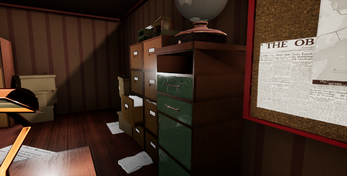 I believe this project went well, I was successful for what I set out to do, even able to include a story into the scene if you look hard enough at the paper-elements of the scene, the technical side also was a success, with low poly counts, and the colours are effective at changing up the emotional responses compared to the noir variant. 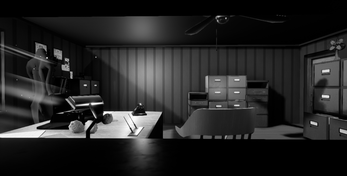 The only real downside to the scene is the slightly underdeveloped textures and quite a high volume of draw-calls, but I justified that by the materials either being flat colour or low-res.